The last few Christmases have seen the Krampus making his presence felt far beyond his snowy Alpine homelands. 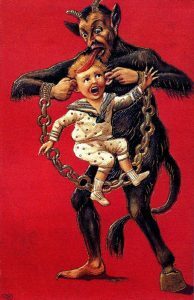 For the benefit of the uninitiated, the Krampus is a hairy, horned devil who carries a sack and a switch. 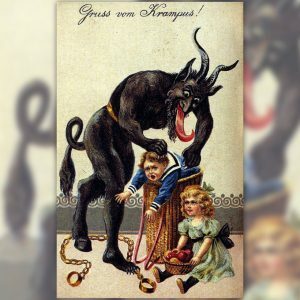 He accompanies Saint Nicholas on his Yuletide rounds in early December, and while Nicholas gives gifts to good children, Krampus whips the naughty ones, and pops the really bad little boys and girls in his sack to take away. 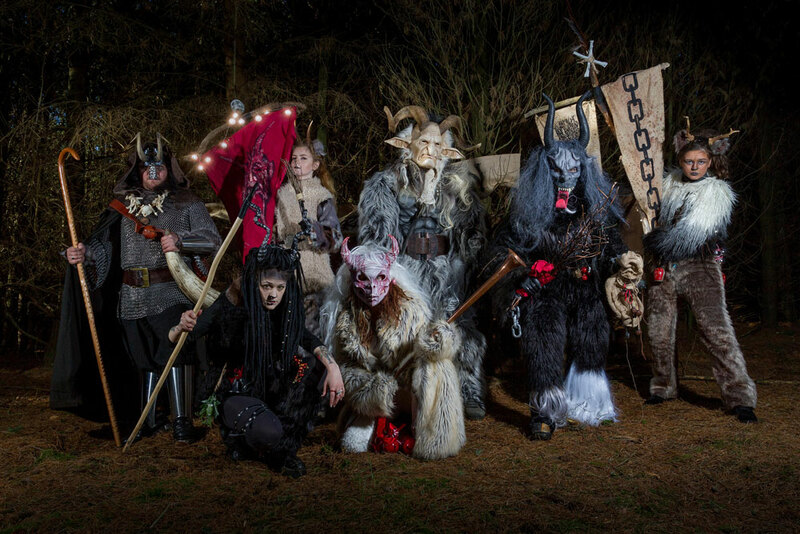 Towns and cities where the legend’s survived, mostly around Austria and Bavaria, have annual parades, or Krampus Runs, where locals dress in elaborate, shaggy devil costumes, ringing cacophonous bells and menacing onlookers with birch twigs and whips. Starting in the 1800s, instead of traditional Christmas cards, some mischievous locals preferred to give Krampuskarten depicting their favourite seasonal bogeyman. Whitby’s long been associated with the novel Dracula as well as the resultant Goth festivals. Over the years not everybody’s been happy about this, with a small, but vocal minority objecting that this is bad for the town’s reputation as a family destination, or even potentially unhealthy or unholy. I wondered if the Whitby Krampuses had experienced any local hostility? 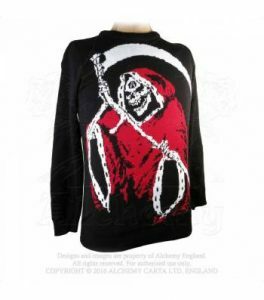 There are quite a lot of strange, even creepy Christmas customs that lie largely forgotten in the backwaters of the British Isles. 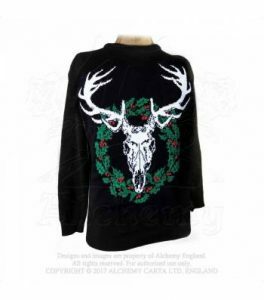 For example, I said to Elaine, isn’t there a crazy Christmas creature that has a horse-skull for a head? 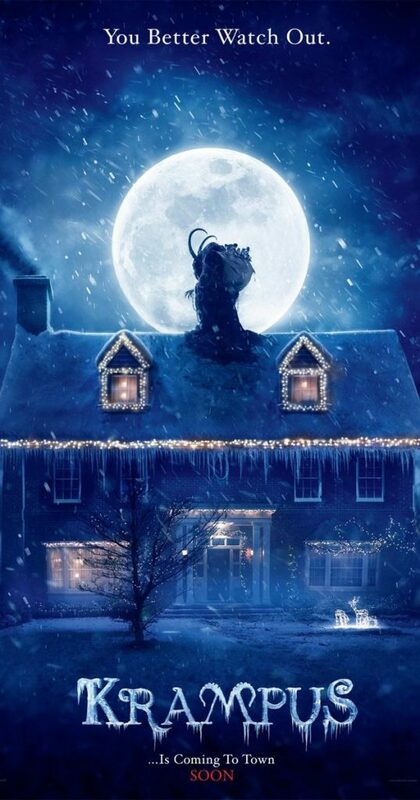 Do we have nothing like a traditional British Krampus? “The creature you’re thinking of would be the Mari Lwyd from South Wales” she answered. “We do have odd traditions like that, like Wren Boys in Ireland, but nothing quite like the Krampus. 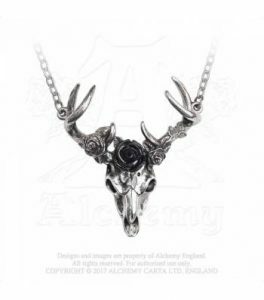 We’ve been quite keen on incorporating local traditions into our interpretation for Whitby Krampus Run though, such as Yorkshire’s black dog or barghest. With thanks to Decadent Drawing and Simon Blackwood for the Whitby Krampus Run photographs.